SEATTLE, Washignton — O Jogo Bonito. The Beautiful Game. Soccer. Whatever the moniker and wherever it is played, football (or in America, soccer) is a world sport that holds more than three billion hearts. Its main governing body, FIFA (Federal International Football Association), hosts the quadrennial World Cup, which allows 32 qualifying nations across the globe to compete in one host country for a coveted trophy and the distinguished honor of being the champion team for the next four years. However, the excitement of commercialized football affects developing nations in a negative way. The World Cup occurs every four years, and the country chosen to host the esteemed tournament is voted on by FIFA nearly a decade before the onset of the event. The World Cup is an infamous tournament that more than two billion people watch and 32 countries participate in. It is the celebration of global integration around a beloved game. The privilege for a single country to be chosen to host the tournament is a unique facet of the World Cup tournament, but along with this privilege comes an increasing social and economic cost to the people residing in the host country. 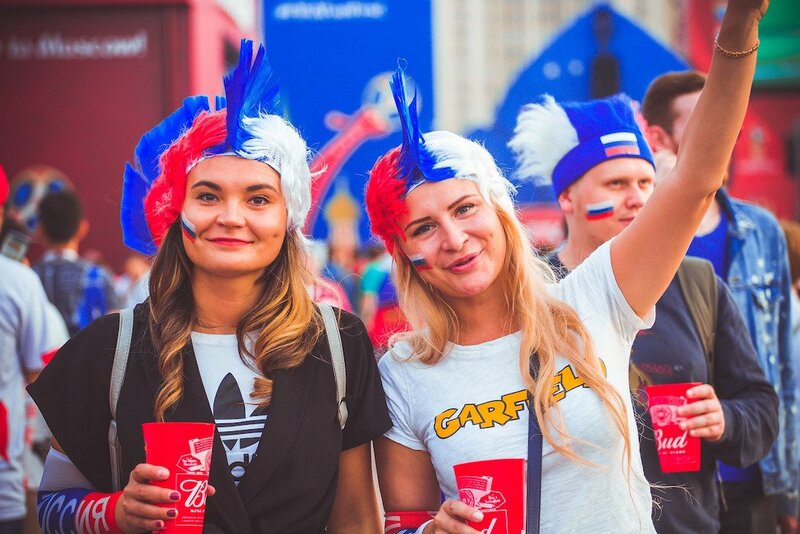 This past summer, Russia was given the opportunity to host the 2018 World Cup; four years prior, it was Brazil that hosted the global soccer tournament. Over the past few years, the global soccer community has learned that FIFA is a deeply corrupt and problematic organization. For over 17 years, FIFA president and global ambassador to the sport, Sep Batter, violated numerous ethical and legal codes relating to the global football community. Accusations of bribery, financial mismanagement and World Cup bid-rigging entrenched Blatter in a hole of legal and ethical trouble, which ultimately led to his dismissal in 2015 and began his eight-year ban. Blatter’s complicity in the corruption on behalf of FIFA and the bids for host countries in the World Cup created a lot of controversies and led to discussions ranging on topics such as ethics violations, bribery using envelopes of cash in order to secure world cup bids and more. All of these transgressions by the former FIFA president boil down to one primary concern: the well-being of host countries around the world and their citizens. Global poverty has been exacerbated in regions where countries have been chosen to host the World Cup. Unsurprisingly, those agents responsible for winning the bid to host the tournament are often direct benefactors of the corrupt behavior inherent to the World Cup proceedings; whereas, those who are adversely affected by these decisions are the young, unrepresented, and ostensibly, unimportant patrons to the sport itself. The World Cup is the emblem of commercialized football, resulting in exorbitant sponsorship deals, television commercial spots, player endorsements. In host countries, stadium construction and repurposing along with extensive retail sales generate awareness and money for the most important stakeholders. However, everyone else is usually worse-off. Whether one is a fan or an integral component in the facilitation the World Cup, abject poverty under the guise of glory is the end result. When Brazil hosted the 2014 World Cup, there was a shift in political power in the government and a newfound desire by the people for structural reform within healthcare and education. When polled, 61 percent of the citizens in Brazil opposed hosting the World Cup. “The protests were centered around the people’s demands for higher expenditure on healthcare, education and public transport.” Instead, an estimated $3.5 billion in taxpayer money was earmarked for the construction of the stadium alone. Officials within FIFA who represented Brazil made a social case for the nation to host the 2014 World Cup, and by being granted that privilege, those officials were made better off in the end. The 2014 World Cup in Brazil ended up being an economic catastrophe for the nation. With over “31 million Brazilians living on just less than $1.25 per day,” issues of healthcare, education, income inequality, reasonable accommodation and seasonal labor for the World Cup proceedings actually made the country worse after the month-long ordeal. For those who were in the stadium or watching the games on television, the tournament was undoubtedly a success as far as commercialized football goes. If, however, you stepped out of the stadium and experienced what life outside of commercialized football looks like for everyday citizens of Brazil, the stark difference between the two worlds would be exposed due to the corrupt and nearly incorrigible state of FIFA and World Cup politics. Brazil “faces significant challenges in universal access to primary healthcare. There is a deficit of primary care facilities and doctors.” In regards to education, “only 57 percent of 25 to 34-year-olds have the equivalent of a high school degree.” These few statistics begin to illustrate the kind of abject poverty Brazil and other developing nations cope with every day. Meanwhile, FIFA sees fit to nominate these nations with the burdensome and economically suffocating task of hosting the World Cup. There are two possible solutions to mitigate the economic disparity of the lower and middle classes from the effects of commercialized football. Firstly, FIFA must begin to develop a voting mechanism for citizens of potential host countries, as taxpayers, to voice their support or objection to their respective country hosting the football tournament. It is incumbent upon FIFA to properly represent all stakeholders. Secondly, FIFA must take into account the host country’s commitment to economic sustainability and basic human rights. Ultimately, it is the people who are affected by these decisions, and so more lobbying must be done to align host country politicians with their constituents when FIFA approaches a nation for possible host candidacy. It is essential that it establish a more transparent system of communication and cooperation between FIFA and government bodies of host counties and work to streamline the process of funds distribution and other key activities essential the World Cup proceedings. There is a link between the commercialized football of the World Cup and global poverty. Commercialized football affects developing nations. Massive cash infusions lead to the construction of stadiums and hotels that are practically useless and uninhabited following the conclusion of the World Cup. More needs to be done to protect the economic stability and the citizen of any country elected to host the World Cup.